NINTH & G – Volcanic ash hit close to home last April when the Eyjafjallajökull volcano eruption disrupted life in Arcata, stranding the Arcata High School Madrigal Choir in Italy and binding them together in friendship and unanticipated debt. 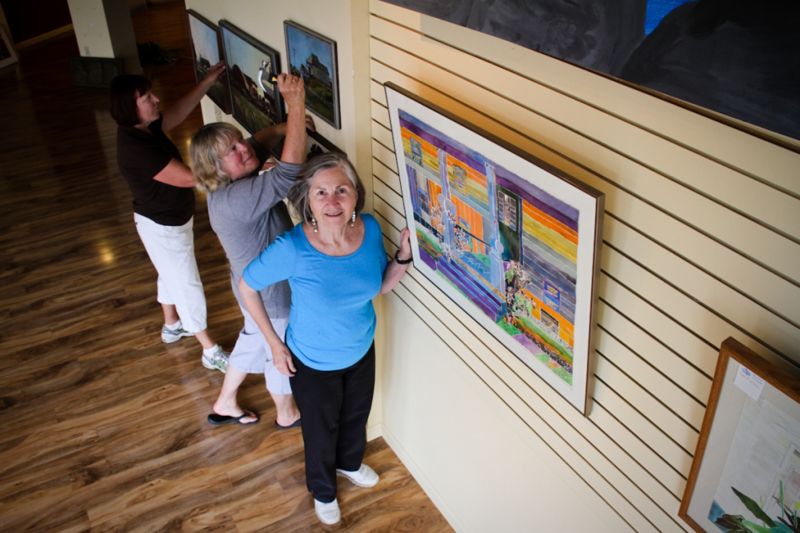 Another explosion of sorts on Friday, Aug. 13 will bring the choir closer to wiping out that nearly $20,000 extra debt and give the local community a unique opportunity to buy fine art at a good price. Along with the usual Arts!Arcata tour that night, art from the private collections of community members will be on display from 6 to 9 p.m. in the former Geppetto’s location on the corner of Ninth and G streets as part of a silent auction to raise money for the choir. This unusual sale includes work from significant artists like George Van Hook, John Wesa, Tom Knight, Keith Schneider, Mimi LaPlant and Patricia Sennott, plus a Japanese Kyugetsu doll and North Redwoods Art Guild (NORBAG) items. The public is invited to drop in any time between 6 and 9 p.m. to enter a silent bid on the art pieces, many of which have starting bids as low as $10. In addition, there will be live music throughout the night, plus wine served for a donation. Also, as a natural tie-in to the disruptive Eyjafjallajökull event, artist Claire Iris Schencke will offer a signed print of her Eyjafjallajökull Eruption l.
The print is part of her GLACIER ART PROJECT (claireirisschencke.com), a series depicting the “fragile beauty of glaciers.” Schencke hopes this work will contribute to the debate on how to prevent ice melt. “Art is such an important part of our lives. This silent auction is a great opportunity for young people to purchase art that is quite valuable but, thanks to this auction, now affordable and in reach of pocket books of all sizes,” said Stillman. This entry was posted on Wednesday, August 11th, 2010 at 10:24 am	and is filed under Scene. You can follow any responses to this entry through the RSS 2.0 feed.